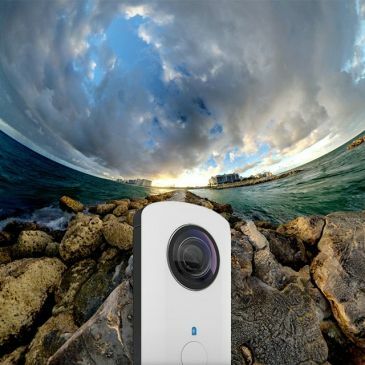 Ricoh Theta Camera, 360 view optic in 1 shot. In order to get 360 degrees seamless panorama you will need a special tripod, some knowledge about light effect and finally intensive effort. But now it’s going to be a lot easier once Ricoh Theta Camera arrived, just 1 shot and you can get 360 degrees view in 1 image. Ricoh Theta Camera weighs 95 gram. It’s quite small so you can take it anywhere. Twin lens folded optical system on both sides will capture everything around the camera and turn it into fully spherical image. Ricoh Theta can be used with iPhone4S, iPhone5, iPhone5s or iOS 6.0 and above via Wi-Fi signal. Images could be transfer to Smartphone immediately. 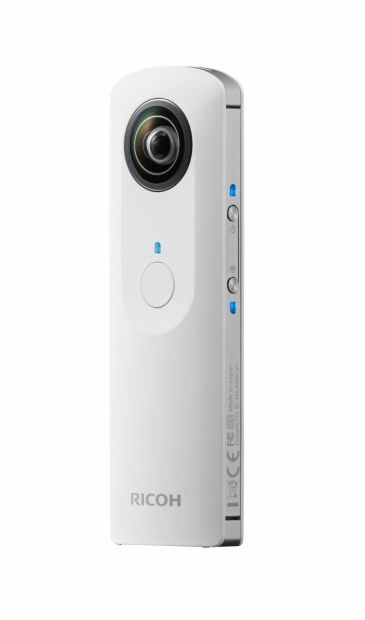 Ricoh Theta Camera has 4GB internal memory and full charging battery could snap around 200 pictures. It uses Micro-USB 2.0 port for connecting with computer.